When I decorated my daughter's room a couple of years ago I looked everywhere for a cute little desk. They were all so expensive and I found that $250 would only buy me a cheap particle board desk. I finished her room without the desk, but later found one at the thrift store for $10. It was all wood and the perfect size for a little girl's room. I used wood putty to fill in scratches and holes and then lightly sanded it with a palm sander. I painted the desk white with some paint I already had. Then I bought a sample can of paint at Lowes for $2.98 and had it tinted pink. Buying a sample can of paint is a great idea when you just need a small amount for a project and they will tint it any color you want. I used the pink paint on the drawers and spent $2 on new wood knobs. For a total of $14.98 I got the perfect desk that will last for many years and my daughter is very happy. 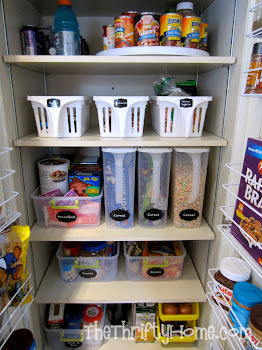 cool idea, and what makes it all the better..............cheap! Great job! The desk looks dandy! Very cute. Isn't it wonderful what a can of paint can do? I hadn't thought about buying the sample size cans, I'm going to start doing that. Thanks for sharing! So cute! That is the perfect desk for a little girl. it looks great! I bet she loves it! 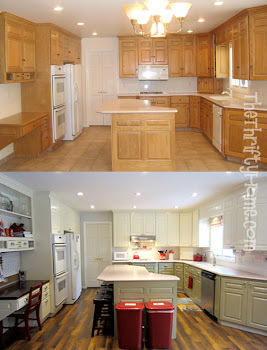 How cute...what a perfect re-do. Love It. I bet your daughter was tickled pink! Wow, thats good to know about the sample cans of paint. Thanks for sharing the tip! Very cute and updated. Love it! MY goodness, that is just adorable now! I LOVE it! Thanks for sharing! Oooooh that is cute! such a fresh shade of pink! So adorable! I love that you used more than one color. It has great style! That is a perfect size and I bet she just loves its new look! What a fun little desk! I love the pink! Super Cute! 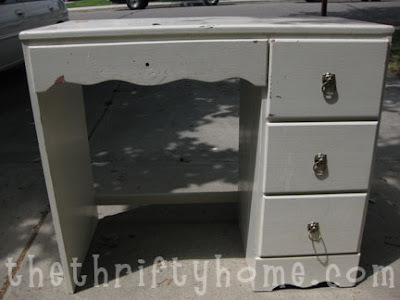 I love the way just painting the drawers makes it look. Great project. WOw! Great job! :D Love it! Oh. my. goodness. You did a fantastic job! SOOOOO cute! And cheap! Can I be any more excited about your post?! This is perfect. My little girl wants a desk. Now I'm going to keep my eye out for curb-side discards and thrift store desks. How fuN!! 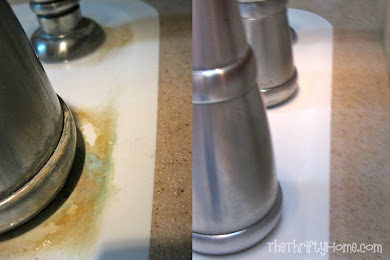 Very cute, and great tip on the sample paint! Very cute. I need to use up some of my MANY cans of sample paint. That a beautiful desk! I love the colors too! What an adorable desk!! I really like the colors. Also, painting technique in her room is so cute! That is a great idea to buy the sample cans from Lowes or anywhere. So Cute! I sure would love it if you would add me to that impressive list of parties! If there is such a thing as a blog party animal I think you definately qualify! Hope to see you on Sunday (thru Thurs) @ Craft Schooling sunday. all the best! It looks brand new--I am sure you have a happy little girl. Thanks for linking up! 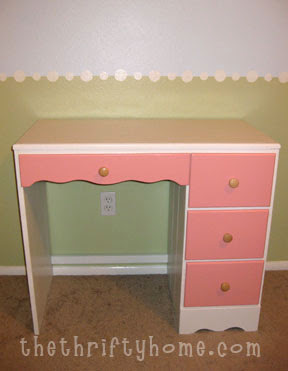 Perfectly pink for a little princess...great desk! That is adorable! I love pink. Come stop by my Favorite Things Friday Party if you would like to join in! 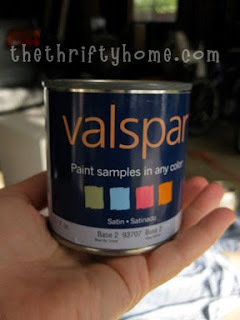 Great idea on getting sample paint! Thanks for sharing at the POPP. Great job - love the look. A real wood desk is better than any cheaply made particle board one. Your re-vamped desk is adorable and any young girl would love it. I like your idea of the sample can. Perfect size for so many projects. Thanks for the great tip! Great find on that desk! It's so pretty in pink! You did a beautiful job! Thanks for the tip on the sample paints! What a great job... I love the pink drawers! That looks great! I love the colors. Jen that looks so so so darling!! Great job! I love the cute wall behind it as well! haha! reminds me of a project I just finished! Maybe I could be a guest on your Penny pinching site! Loving the $ saving that goes on here!